Create your Icon With Inalis jewelry. Have you ever wondered what can balance your occasion perfectly without any compromise at an affordable cost? Worry not and take advantage of the new development. It’s now possible to remain the icon on any events or occasion by using some jewels whether you are considering a wedding or any other occasions. 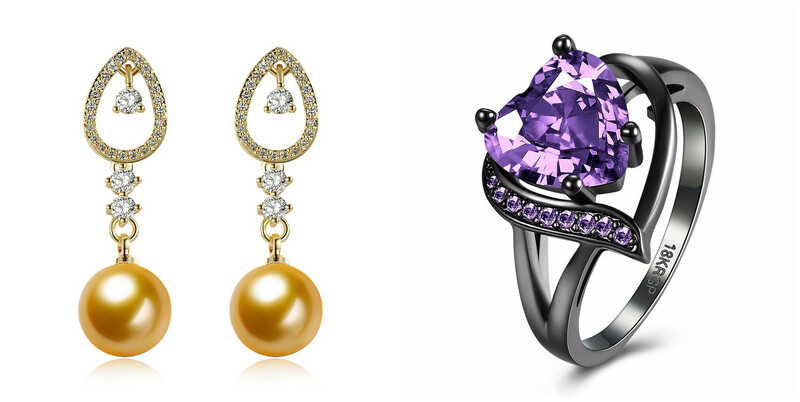 Which kinds of jewels can help you create your icon? 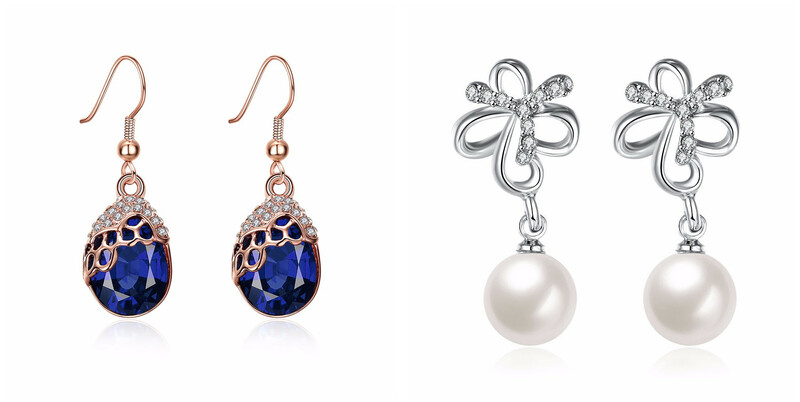 Inails jewelry, with its simplicity and romantic nature, becomes your choice in this sense. Jewels from Inalis are simple and exquisite, which make them coordinate with most of the occasions. Whether you attend an interview or party time, you can easily pick up one of them to match your clothes. 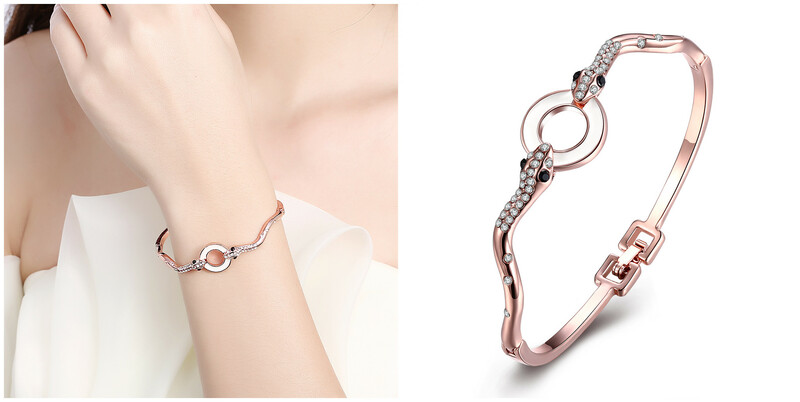 For example, accessorizing your OL style outfits with a rose gold plated rhinestones bracelet from Inalis helps to create your own elegant and fashion image, making you look confident. When you go to an interview, it will impress your interviewer. It can also be used on your first date with your boyfriend to make you look generous and elegant. Romantic nature is one of the impressions that are given to you. The romantic colors like light purple, pink, pure white and light blue are usually adopted by Inalis jewelry to make the jewels for wedding jewels and other ceremony jewels because they always give us a touch of romance and mildness. Matching Inalis blue drop earrings with a blue ceremony dress well deliver a sense of romance and uniqueness. Besides, Sterling Silver Gemstone wedding ring make your bride look pure and charming, which also tell her that you are the only one bride in your life with its uniqueness. Simple as it is, Inalis jewelry is still characterized as luxuriousness and nobleness. Based on its simple and exquisite structure design, its designers make them look luxurious with the magic power of all kinds of beautiful gemstones, pearls, and colors. For instance, the Gold Plated Zircon Earrings and the Heart Zircon Rhinestone Ring greatly show its luxuriousness and nobleness with their luxurious look. Meanwhile, Inalis jewelry also looks like a lovely and innocent girl. You can find Santa in Sleigh Reindeer, Delicate Christmas Tree, Elk Deer Antlers Pendant in it, It loves something dreamlike and aim to provide you the chance to enjoy a fairy tale life. Inalis jewelry is like a beautiful woman that most of the people love. It is pure, elegant, romantic and lovely. Whichever icon you want to show, it can also help you create. In the Nalis jewelry, you can find more possibilities, so join us to find your icon.